It has become a common, responsible pet owner practice to spay and neuter pets. This decision helps to keep down the pet population and can also result in healthier longer lived pets. This is a guide about spaying or neutering your pets. Article: Why Spay or Neuter Your Pets? Call up your local shelter and ask them how many dogs they have. Ask them how many cats they have. Ask them how many pets come through the doors each month, or each year. If it is a kill shelter, ask them how many pets have been euthanized because there are too many homeless pets and not enough space. When you adopt a pet from a shelter, most will require that you spay or neuter your new pet. Many will point you to a vet that offers discounts on the procedure, or even give you a coupon so the surgery will be free. You may think that spaying or neutering your pet is cruel... but unless you are planning to become a breeder, spaying or neutering is essential. Spaying and neutering helps your pet live a longer, healthier life. Spaying eliminates the possibility of uterine and/or ovarian cancer and reduces the risk of breast cancer in female animals. Neutering eliminates the possibility of testicular cancer and lowers the chances of prostate disease in male animals. 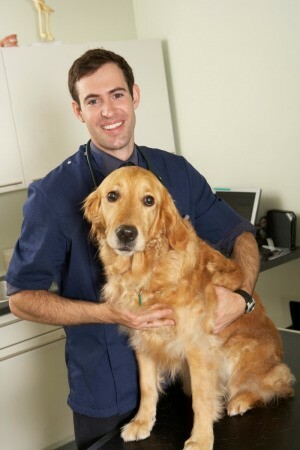 Pets that are spayed or neutered are often more affectionate, and have less temperament problems. Neutered cats are less likely to spray to mark territory. Spayed and neutered pets are less likely to roam the neighborhood or get into fights. A dog or cat in heat is a target for the other animals in the neighborhood. When my parents' dog was in heat, we had a hard time keeping other dogs away from the yard. There was a LOT of howling. A pregnant dog or cat is an extra financial burden -- vet visits and special food and then how many more new mouths to feed? Animal shelters are full of animal mothers who got pregnant and got abandoned by their people. Communities spend millions of dollars to help control unwanted and/or stray animals. So, for a happier, healthier pet, please spay or neuter! Two unaltered cats and all their descendents can number 420,000 in just seven years. 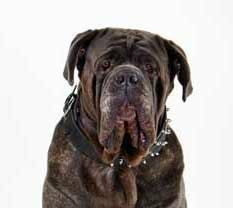 Two unaltered dogs and all their descendents can number 67,000 in just six years. The top reason both cat guardians and dog guardians give for not having their pet altered is that they simply have not bothered to do it yet. 20% of cat guardians think their cat is too young to be altered, and 18% say they are not able to afford spay/neuter surgery. 21% of dog guardians want to breed their dog, and 13% think their dog is too young to be altered. An estimated 5 million cats and dogs are killed in shelters each year. That's one about every six and one half seconds. Tens of millions of stray and feral cats struggle to survive on their own outdoors. Although some are altered and live in managed colonies, most are not altered and receive no health care. They reproduce at will and many suffer from illness or injury before dying. TNR stands for Trap-Neuter-Return. Over half (56%) of dog guardians and nearly two-thirds (63%) of cat guardians rank pet overpopulation as the most important pet issue. In a study of relinquishment of cats and dogs in 12 U.S. animal shelters, 30% of the surrendered dogs were purebreds. The same study indicated that 55% of the surrendered dogs and 47% of the surrendered cats were unaltered. It costs U.S. taxpayers an estimated $2 billion each year to round up, house, kill, and dispose of homeless animals. Over 56% of dogs and puppies entering shelters are killed, based on reports from over 1,055 facilities across America. Approximately 71% of cats and kittens entering shelters are killed, based on reports from 1,055 facilities across America. What is the Early Neutering Program (ENP)? This is a program in which surgical sterilization of adopted puppies and kittens is performed prior to the traditional age of six months and, ideally, before they leave the shelter. The ENP was begun to help address the fact that fewer than 60% of puppies and kittens leaving the shelter prior to being altered ever returned for surgery. These puppies and kittens were then potential and actual sources of additional unwanted litters. The ENP began as a pilot project in 1989, but its success quickly made it an integral and ongoing part of our adoption program. Currently all puppies and kittens 8 weeks of age and older and in apparent good health are part of this program. Is it really safe to do surgery on such small animals? In the past it was considered too risky to perform surgery on younger animals due, in part, to primitive anesthetic agents, crude surgical equipment and limited knowledge of small animal pediatrics. Other concerns were that there would be other complications; such as stunting of growth, urological disturbances, and increased obesity. As a result, traditional guidelines of 5-8 months became the accepted practice. Beginning in the 1980s veterinarians began to study the safety and practicality of early-age spay/neuter. These studies show no significant differences in surgical risks, long-bone growth, urological disturbances and obesity between dogs and cats altered at 7 weeks and those altered at seven months. The success of our program here in Seattle confirms these results. The ENP is now approved and supported by the American Veterinary Medical Association, the American Animal Hospital Association, the Humane Society of the United States and the ASPCA. Question: When Should I Get My Dog Fixed? I have a 7 month old female mix, we think she's mostly Brussles Griffon. When do I get her fixed? I hate the thought of her little tummy being cut. Do they do laparoscopic spaying? Check with your vet. They usually do it at 6 months. Your vet will tell you what time to get your dog spayed. They do lapriscopic spaying and it actually does alot better job. It is less painful and it heals faster but make sure you use the good anestetic. If you don't, there is a good chance your dog will be sick. (throwing up) We adopted a female rottie from the humane society and we had to get her spayed. Worked out well. You should spay your dog at 6 mos. of age, so yes, your dog is old enough. Also, they do not make a large incision at all. Our Golden Retriever's scar is less than 2 inches long and it sounds like she is quite a bit bigger than your dog so I'm sure your dog's incision will be even smaller. You would be surprised how dogs bounce back after "being fixed"! I swear my mother's 6 mo. old pom didn't even know she had had anything done the day after surgery. She had to keep her in her cage for three days to keep her quiet. As they said, check with your vet as each has their own preference. It is very common now to have animals spayed and neutered at 8 weeks (yes I said weeks!) which used to be unheard of. You should check with your vet right away, as depending on the breed of dog, your dog could come in heat any time now. One of our rescues was spayed 2 days ago and she is acting as good as ever. My dog is in heat and has been for about 1 1/2 weeks but is scheduled to get spayed on March 24th. When will she be out of heat? Is it safe to get her spayed on this date? I have a 1 yr and 6 month old femal lab, how soon after she stops bleeding can I get her fixed? Can I get my Weimaraner fixed if she is in heat? My dog is showing male dominance around the house such as snapping at us when we push him away because he is too close to us when we are eating on the couch. Is this dominance normal with him not being fixed? Editor's Note: He will be a much nicer dog if you get him fixed, plus as soon as a dog goes into heat in a 5 mile area of your house, he will do everything he can to escape. Many male dogs get lost or hit by cars if they are not altered because their drive to find a female is strong. My dog is 4 years old. She is a Black Lab. Can I still get her fixed or is she too old? Editor's Note: I don't think she is too old. Call the vet to be sure but I think they will agree. I looked on the internet and I just cant find a place to get my dog fixed. It seem as nowhere in my area fix dogs. Editor's Note Call a local veterinary clinic. They should be able to help you. My dog is 7 this year. Should I still get her spayed? I worry that like people, she's old and may take longer to heal. To Jessica: Your dog isn't too old to spay. In my experience, dogs heal just fine and it doesn't matter the age. I've always figured it was because nobody told them they were supposed to whine and cry. :-) Spaying is better than constantly watching for messy heats, avoiding unwanted pregnancies, and stepping over the male visitors! Do it. You won't be sorry. Last year my neighbor moved and left her outdoor cats; which I have inherited. They followed me home and did not leave. So now all 3 cats have had kittens and I now have 13 cats and kittens to care for. Some of them are very unusual with thick furry hair and look like Siamese without the narrow face. I have become fond of the mothers and want to keep a few of them outside, but need help with neutering and spaying. I have no income because I moved here to take care of my wheelchair bound mother. Is there help out there for someone like me? I was on tight income and asked on freecycle. I had two cats done for free as long as I agreed to keep them. It was from a shelter that dropped off cages and we dropped them to the shelter in the next town over night. Jut go to freecycle with what you have here. If there is help you will find it. Check for animal shelters run by counties, cities, etc. They usually offer much reduced services for neutering to avoid the problem you now have. I found a couple resources online. A good place to ask would be your local pet stores. Petco and Petsmart often have days when they do free or low cost spaying or neutering. If you let a vet know that you are taking care of abandoned cats, many may do the services for free as well. I am hoping to have my 4 year old Pomeranian spayed, but the vets are asking for close to $400 and that is too much as I am on disability and cannot afford that on a fixed income :-( Is there any place in the Nashua New Hampshire area that will spay a 4 year old female Pomeranian for an affordable price? Thanks for any help I tried my humane society, but they are only doing males.